Thank you for visiting my website, Learn Cornish in Cornwall. Back in 2002, the Cornish language was officially recognised as a European Regional or Minority language. I felt then that the language needed a home, a space within the Cornish community, where access to Cornish as a living language was available on a permanent, ongoing, everyday basis. As a Cornish person and a language teacher, I wanted to create a base for the language where it could be studied, discussed and cherished in a way that was totally self-supporting and independent of government or charitable aid. I also felt that, as the language and dialect are intrinsically linked to our Cornish literary heritage, I wanted them to be available for exploration, study and debate as a whole. In 2001, I established my language school in Lostwithiel. 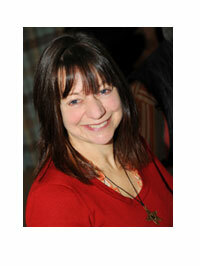 I teach English, French and Italian here as well as developing my Cornish courses. In 2008, I completed my Masters degree at the Institute of Cornish Studies with a dissertation on the Cornish language and Cornish identity. In 2009, I was given a special award in the annual Cornwall Sustainability Awards for ‘Longstanding Commitment to Sustainability in Cornwall’. This award was made in recognition of my efforts to integrate cultural and environmental aspects of sustainability in Cornwall. My language school is a dynamic space, a work in progress. As you will see, I am currently offering a range of courses which I see as preliminary excursions into Cornish culture. 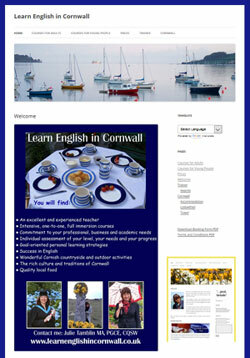 I hope you will find my courses at Learn Cornish in Cornwall of interest and value. My curiosity about Cornwall and the Cornish led me to complete my Master’s degree at the Institute of Cornish Studies in 2007. My dissertation was entitled ‘Seeking Congruence: a Feminist Action Research Approach to Seeking a Sense of Congruence Between Myself as a Cornish Person and the Cornish Language’. Since the Cornish Language had been described as an identity language I wanted to explore the relationship between my own sense of identity and the various forms of the language which were vying to become accepted as the standard written form in 2008. It was important to me to have a rationale for the form of Cornish that I would teach in my language school. This form needed to make sense to me in terms of both my personal identity and my own sense of integrity. The subject of my Master’s degree was ‘Contemporary European Culture: Language, Literature and Society’. When exploring the culture of Cornwall, it seems to me to be essential that our dialect, language and literature are studied in relation to each other as this relationship is fundamental to our identity. In addition to my Master’s degree, I have a Post-Graduate Certificate in Education. I also have a special certificate to teach English as a foreign language. 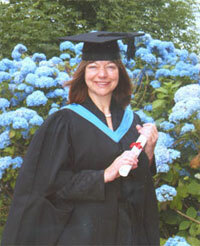 I gained my teaching qualifications in Cornwall in 1998. I have been a full-time, professional language teacher since 2001, when I established my language school. I teach four languages here: English, French, Italian and Cornish. I have won a series of awards for my efforts to integrate culture and sustainability in Cornwall through my language school. 2006: ‘Highly Commended’ in the Cornwall Sustainability Awards. 2007: Gold Award with maximum points from the Green Business Tourism Scheme. 2008: Runner Up in the category ‘Best Individual’ in the Cornwall Sustainability Awards. 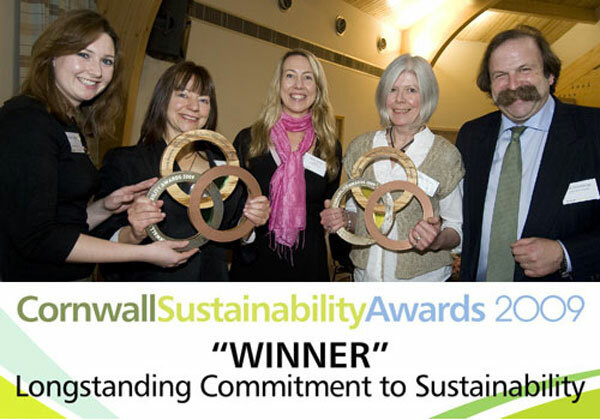 2009: ‘Winner’ In the Cornwall Sustainability Awards of a specially created award for ‘Longstanding Commitment to Sustainability’.